ESPN.com’s Adrian Wojnarowski broke the internet Monday morning when he reported that Anthony Davis’ future with the New Orleans Pelicans was…well, there is no future. AD wants out, and in today’s day and age of superstars controlling their own destinies, AD will get out. Sorry, NOLA. But this was always going to happen. Although the Twittersphere was quick to fire up the trade machine, one thing is painfully clear: Davis wants to play for the Los Angeles Lakers. 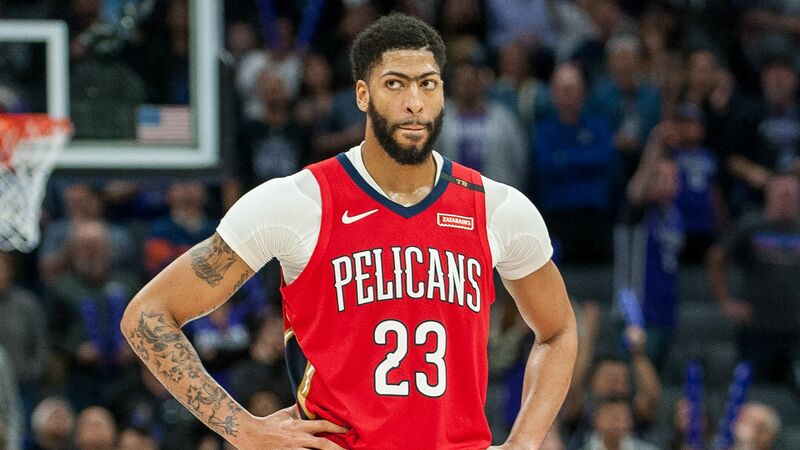 The Pelicans have no obligation to acquiesce, but AD, 25 years old and represented by Klutch and Rich Paul (aka, LeBron’s people), will do everything he can to play alongside The King in Tinseltown. There are maybe literal hundreds of angles to this story. Is LeBron yet again going to get what he wants? If so, can Lonzo Ball, Brandon Ingram and Kyle Kuzma find success outside of the spotlight? Do the Pelicans instead wait for Boston to make an offer on July 1? Do the Celtics panic and include Kyrie Irving in a deal before the deadline? The storylines don’t end there. Klutch’s influence over the NBA could easily be viewed as a detriment to small markets at this point. The Lakers have legitimate options that involve them getting Davis while maintaining a roster spot for a third star. Will the Pelicans franchise survive this and stay in New Orleans after losing another future Hall of Famer? Would the LeBron-AD Lakers compete with the Golden State Warriors as early as this season? As far as the Portland Trail Blazers are concerned, they have nothing to do with this, and that is sweet, sweet music to the ears of general manager Neil Olshey. His star player, Damian Lillard, has had only good things to say about the franchise for which he’s played his entire career, as well as the city in which he’s lived since 2012. But as often as temperamental stars pop up in the news (see: Butler, Jimmy), the NBA sees good guys state their loyalty every season—until they can’t take it any longer. Every year, a star player whose team is stuck on a treadmill says all the right things—until it’s time to hop off. AD was once in that boat. Paul George, too. Rip City, in particular, won’t forget that LaMarcus Aldridge said he’d never spurn his Forever Team because he had one monumental goal in mind. That should terrify Olshey and the Trail Blazers. Because earlier this season, it was reported that now-deceased Blazers owner, Paul Allen, had a verbal agreement with Lillard that he would deal the point guard if a trade was ever formally requested. Allen promised he would try to find the franchise player a destination of “[Lillard’s] liking” if possible, which is noteworthy considering LeBron has indicated he’d like to play with the Oakland/Ogden/Oregon product. Although it’s unclear whether or not that accord remains between Lillard and management/ownership today, the current status of that exact agreement really doesn’t matter. If Lillard wants to move on, he can do exactly what Davis has done in New Orleans. If Olshey is smart, he’ll make one single phone call to the Pelicans to see what it would take to get Davis in Portland. The response will likely be nothing more than an outburst of laughter on the other end followed by the quick click of a phone line disconnecting, but the Blazers have to realize that the Pels don’t want the Lakers to take over the league. If there’s a deal to be made outside of Los Angeles, it can be done whether or not Davis has approved it beforehand. Once it’s clear, though, that Davis is not an option for the Blazers, Olshey needs to keep working phones across the league. Because Lillard needs help. The Western Conference is too good to ask one superstar to capture you a title, and it’s going to become tougher to win meaningful games if a new powerhouse takes form less than 1,000 miles south in L.A. Although there’s no easy answer to the question, “How can Portland become a perennial contender?”, that’s what Olshey must ask himself on a daily basis. Every decision he makes from here forward must be with that burning query in mind. If it’s not, he risks losing a whole lot more than a seven-game series in April. It’s a reality that New Orleans is dealing with today, and it’s one the Blazers need to get ahead of before Lillard Time runs out in Portland.